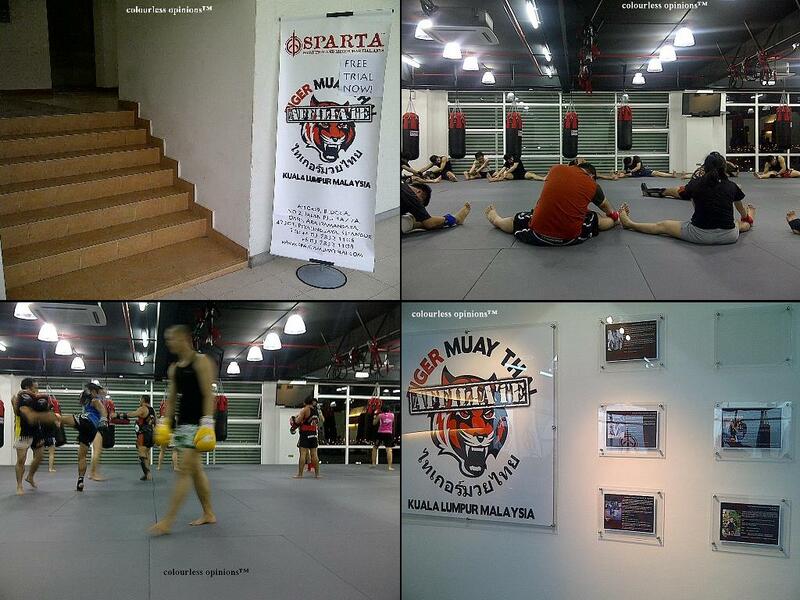 There were already a number of Muay Thai/ kickboxing fitness gyms in Malaysia before Sparta came along. Is this newly opened martial arts fitness gym any different from the others? What separates them from what the others have already been offering? I’ve been there a few times for lessons and here I share my experience and opinions with you. Students performing the drills during Muay Thai Cardio class. As some of you may already know, Tiger Muay Thai has the reputation of being the best of Muay Thai training camps in the whole world. The gym in Phuket has trained many great fighters, not just Muay Thai fighters, professional MMA (Mixed Martial Arts) fighters as well. The reason why I’m mentioning about this is because Sparta is affiliated with Tiger Muay Thai (hence Sparta‘s Facebook page name Tiger Muay Thai Malaysia), and the two Muay Thai trainers (otherwise known as “Krus“) at Sparta are from Tiger Muay Thai. I believe this alone is enough to define the difference in quality between this gym and the others in terms of Muay Thai training. Kru Moo and Kru Tanwa are successful Muay Thai fighters from Thailand, and the members are trained by the both of them, concurrently, at all of the Muay Thai classes at Sparta. 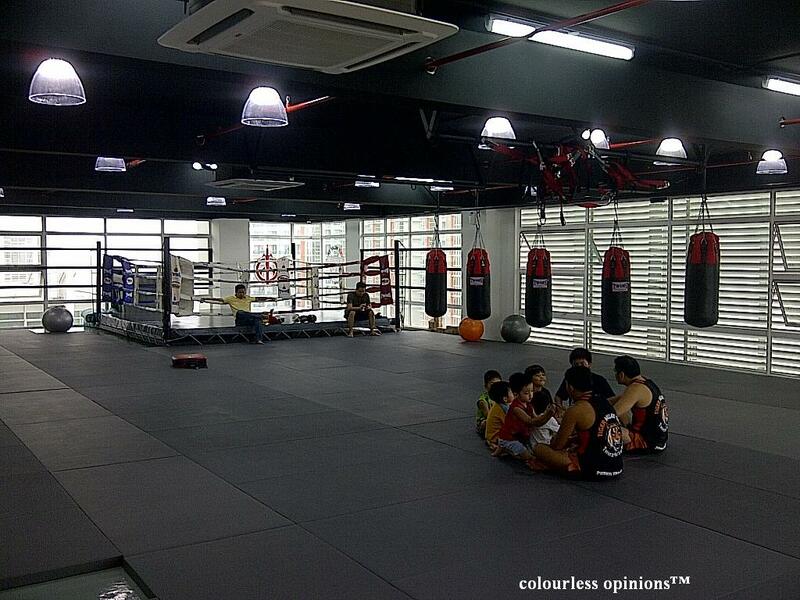 Sparta Muay Thai & MMA is located at Oasis (of Sime Darby), A-10-09 Block A in Ara Damansara, Petaling Jaya. That area is still new with many empty shop lots. Parking is a free (for now?) all around. It’ll be very easy to find parking space right outside the building until all the other shops are opened. Block A is facing the highway and you’ll spot a Sparta banner on the ground floor. Take the dodgy elevator to the 10th floor and you’ll get to a clean, spacious, odorless gym with training equipments (training gloves, pads, punching/kicking bags, and weights), a Muay Thai ring, and high quality thick MMA mats. I was absolutely blown away by the fantastic environment. Probably ’cause it’s new, I don’t know, I haven’t been to many gyms but I thought this has to be the best facilitated Muay Thai & MMA gym in Malaysia now. I haven’t done any grappling there so I can’t comment on how much friction it could cause to our skin. Plain water is also provided for free, isotonic drinks can be purchased there as well. 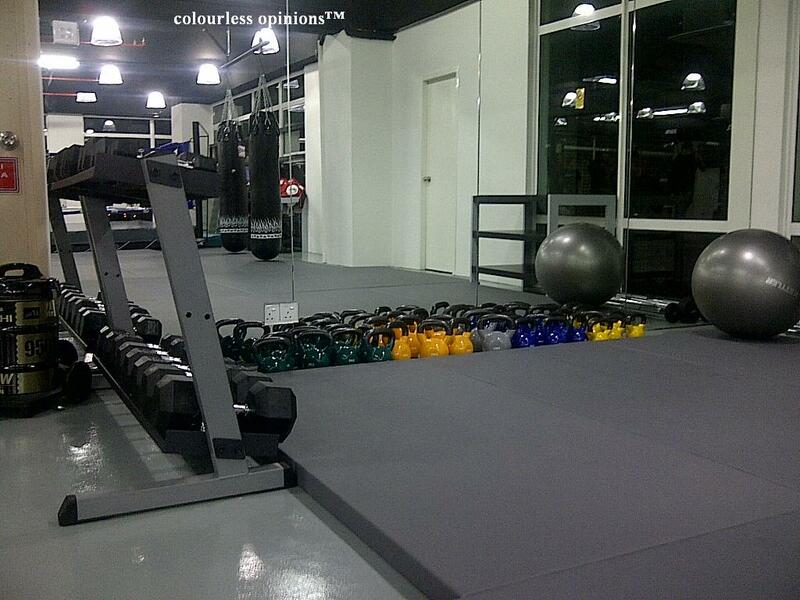 Members are allowed to go there when there aren’t any classes to use the equipments and train on their own. The only thing that the gym is lacking of, I feel, are mirrors. Students may need to see their own movements to improve their forms. The Krus cooling down the children at the end of a Kids Muay Thai class. The gym’s level of hygiene is maximised. They mop the mats after every class and encourages students to bring their own gloves as sharing would mean sharing sweat and germs as well. They have gender-separated toilets with individual shower rooms, the only problem with them is that they have curtains instead of doors for the rooms inside. Quite worrying if you’re homophobic. There was one time when I was doing my “big business”, a kid came and slide the curtain open to have a laugh. They seriously need to install a lock-hook for the curtains at least. Sparta offers classes such as Muay Thai for Beginner & Intermediate, Muay Thai for Fighters, Muay Thai for Kids, Muay Thai for Women Only, Muay Thai Cardio, Western Boxing, Brazilian Jiu-Jitsu, and three different non-martial art fitness classes. As I said, I’ve been there a few times now for lessons. The one hour and 30 minute Muay Thai Beginner & Intermediate class teaches and trains students the basics of the martial art. Tiger Muay Thai trainers Kru Tanwa and Kru Moo are very organised and standardised with the way they teach. First, they’ll have the students jog, warm up, stretch and shadow-practice the basics (the stance, movement, punches, knees, kicks, blocks, elbow, dodge, etc). Then it’s basics practice with a partner that they will choose for you. After that it’s pad works and bag-hitting workout, 3 rounds each and 10 push-ups after every round. The class ends with 50 push-ups, 50 sit-ups and cool-down stretches. The process of the class is quite strict with very little rest in between each exercise and the Krus won’t let you get away without having you pushed to your limits. They will point out your flaws and teach you till you get it half right at least; at times it may feel like personal training. They will ensure that every student to get the techniques right before moving on to another drill. This is great, in my opinion, it shows that they are dedicated to teach and it’s the only way students can truly improve. Students learning the basic moves during Muay Thai class. The Krus may seem all fierce and scary but they are actually quite friendly once they know you. Perhaps the only issue is the language barrier. They’re Thai, they can’t speak English well and therefore it’s quite difficult to actually talk to them or even ask them a question. They pronounce “switch” as “sweep” and tell students to “go back” when they actually mean “go hit the bags”. All of the students were so confused at first and I tried to explain to Kru Moo why but he had none of it and he didn’t seem very happy about it. However, I’m sure all this can improve in time. Students could only join in for the Muay Thai Fighters class upon the Krus recommendation. I’ve seen how the training goes – it’s way more tough and intense than the beginner & intermediate class. Let me remind you that these Krus/trainers, they are or were actual fighters of the combat sport and Sparta students get to learn from them. There’s no a point of learning the art from a certified instructor who has only learnt it before and not actually used it. Well not unless you only want to sweat a little. What Sparta and Tiger Muay Thai are offering here is well structured and pure authentic Muay Thai training. I have no doubt that when you attended classes there long enough, you will be good at it. Another cool thing about it is that students that are worthy will get a certificate of completion. At Sparta, students can also learn Western Boxing class led by former Malaysian champion and national coach Sangra, and Brazilian Jiu-Jitsu which will commence tentatively in the next couple of months. From my understanding, Sparta‘s approach is to offer specialised martial art trainers and classes instead of encouraging students jump straight into MMA before mastering the martial arts separately. This direction is great for those who wants to learn specific martial arts and mix ’em up themselves (Bruce Lee, anyone?). The downside, however, is that it seems that none of these classes teaches students how to defend themselves against more than one opponent. For those who aren’t interested in martial arts that much and would just wish to keep in shape, Sparta has three different fitness classes to offer as well. These classes are a mixture of cardio exercises, aerobics and a little weight-lifting. One of it is called RIP 60, a killer suspension based exercise. I haven’t attended any of these classes but you can log on to their official website for more details. They recently had celebrity fitness coach Ocean Bloom coming over for a day of seminar, which was free for all members. Some of Sparta‘s many provided equipments for members. Sparta may not be the most affordable kickboxing/ MMA gym to join in the country, heck, they could well be the most expensive one too. If you’re paying on a monthly basis, prepare to cough out RM200 at least. You’d only save significantly if you signed up for the 12-month package (comes with free t-shirt, handwrap and boxing glove), which would make you question yourself whether you’re able to commit yourself that long for classes. But if you can afford it, if you can commit and if traveling to the gym is convenient for you, I think the quality environment and Muay Thai training are worth the money. Their schedule for classes is updated monthly on their website and if there are changes, they will notify everyone through Facebook and Twitter. UPDATE: Sparta Muay Thai & MMA is no longer in business.